Hello, my name is Stephen! I am a positive and straightforward third generation psychic reader with over 26 years of professional reading experience. 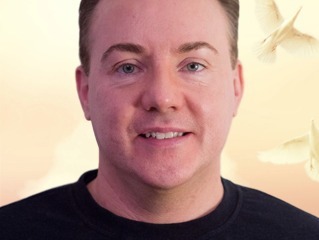 I have been having psychic experiences since I was 4 years old and since I took up readings on a professional basis I have worked to combine my natural psychic senses with the card readings skills I have studied over the years. My aim is to work with you to look into the priorities you bring to me and provide that insight and guidance that you are seeking. I would consider myself very lucky to be able to combine natural psychic senses with the skill of reading cards. I feel it allows me to provide a more well-rounded reading for my callers. My regular callers tend to ask me about love and relationships and they ask for my insight on the emotions of third parties. I do also enjoy working with dream analysis along life priorities. I was 4 years old when I had my first psychic experience, I thought it was normal to have these extra psychic senses but when my friends didn’t have them I realised it was a little bit different. This continued while I was growing up but when I was 19 I was able to start joining psychic circles and look to mould my psychic senses into something I could use to provide the insight to others I felt they all deserved. While I was training I got to look at a range of odd and wonderful topics and it was all very exciting for myself. Now I get to experience one of life’s greatest joys daily and can work with all different people and provide upliftment. When I’m not giving readings I love to spend time in nature. I love to garden and grow my own produce and I’m a massive animal lover.